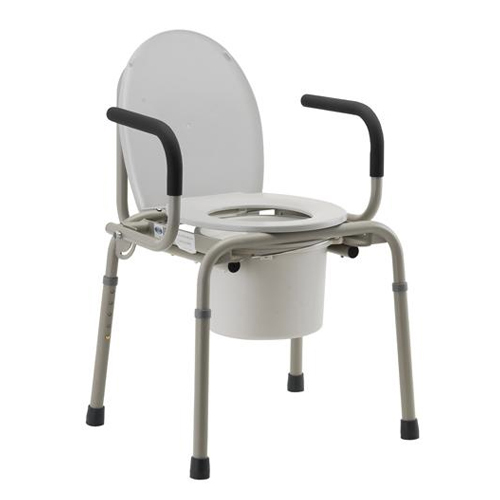 The 3 in 1 Commode is so versatile! 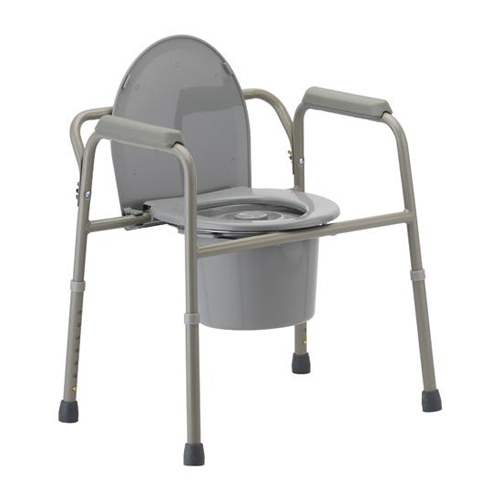 It can be used as a bedside commode or as a toilet safety frame and elevated toilet seat over your existing toilet. 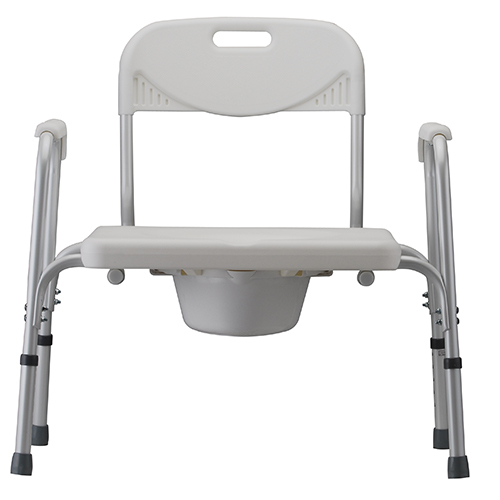 It features a durable powder-coated welded frame. 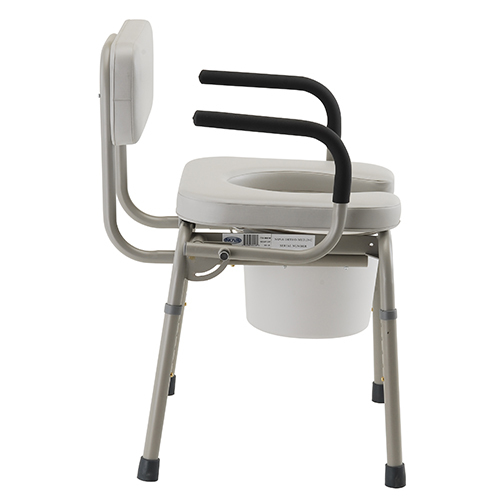 It has adjustable legs, along with a bucket, lid, & splash guard. 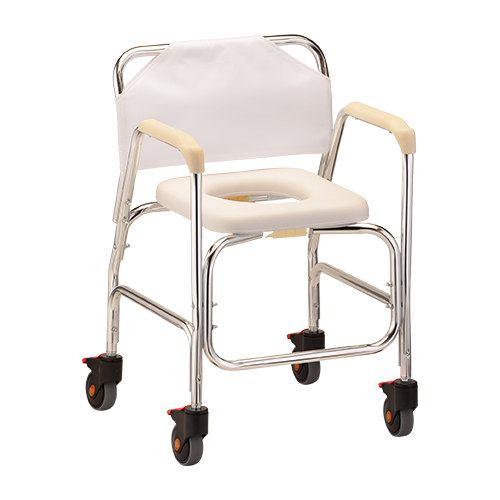 The powder coating makes this frame resistant to rust, and is very easy to clean and maintain. 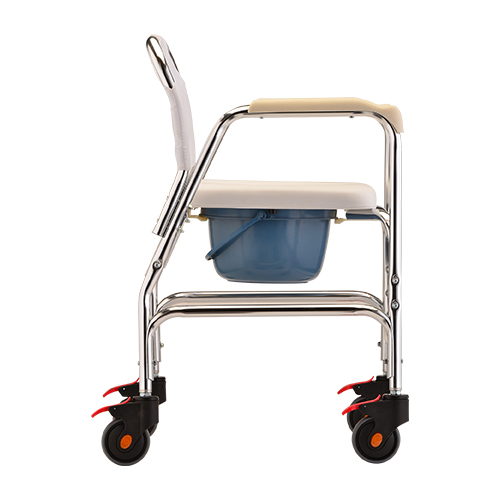 The back attaches quickly with wing nuts. 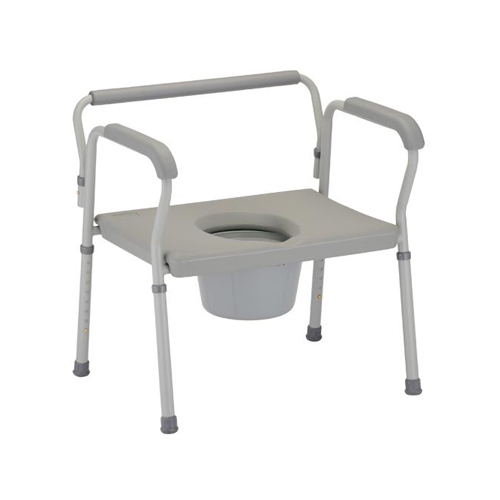 The 3-in-1 Foldable Commode can be used as a stand-alone commode, over the toilet as a raised toilet and for toilet support rails. 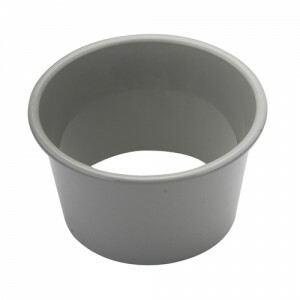 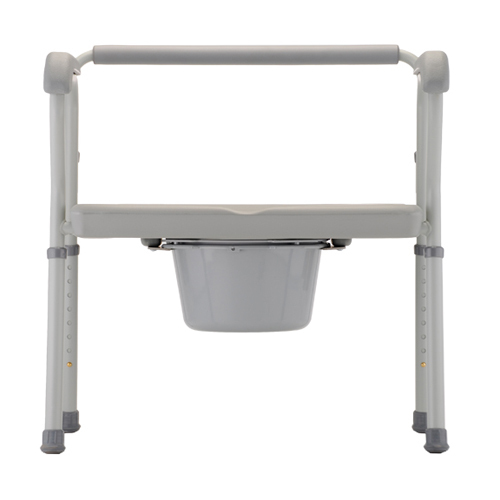 It features an adjustable height steel frame, and includes a bucket with lid and splash guard. 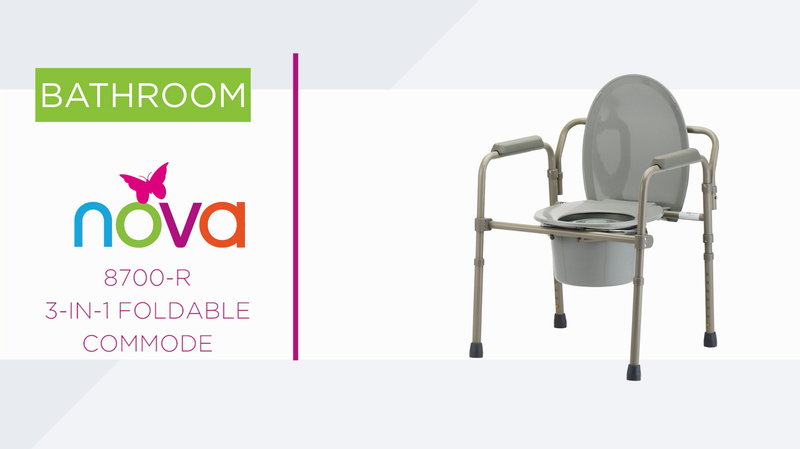 Best of all, this commode folds and unfolds in seconds, making it ideal for travel and storage. 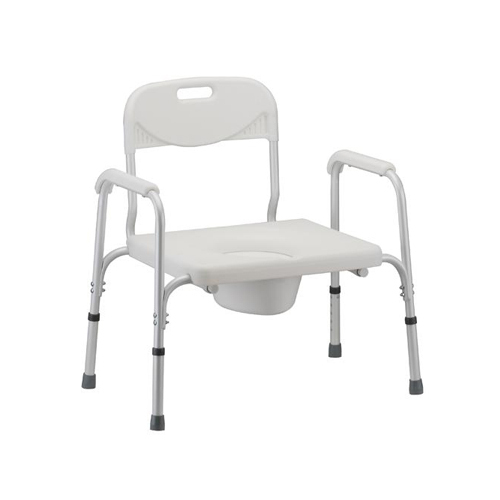 The Deluxe Shower Chair and Commode is designed with waterfall armrests and a padded seat. 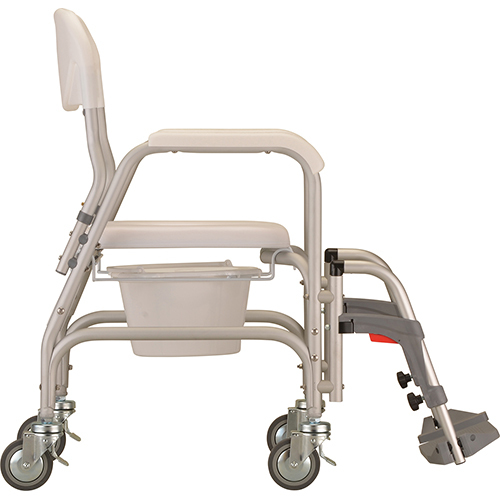 It has removable swing-away footrests, along with four 4″ swivel-lock casters, for maneuverability and secure positioning. 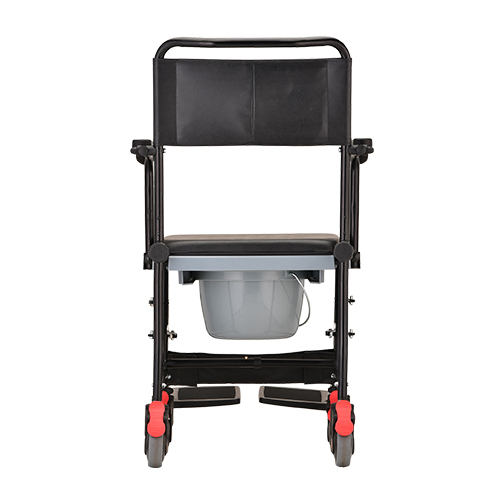 Bucket and lid are included. 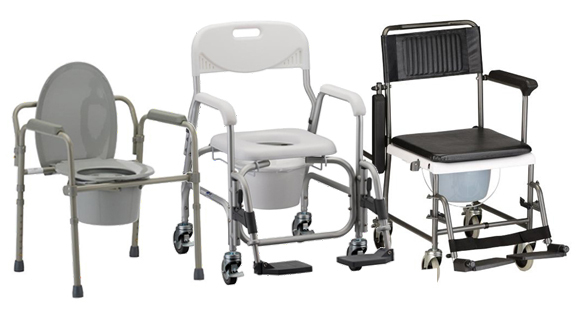 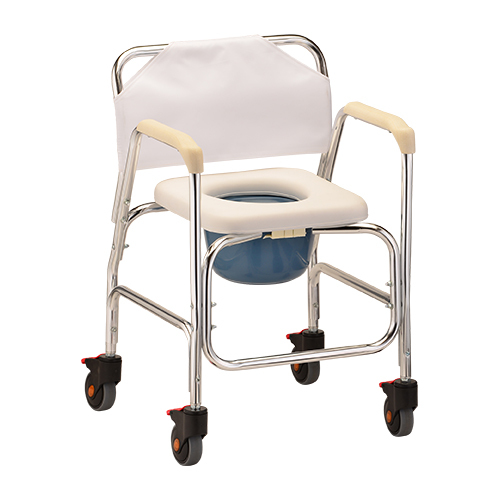 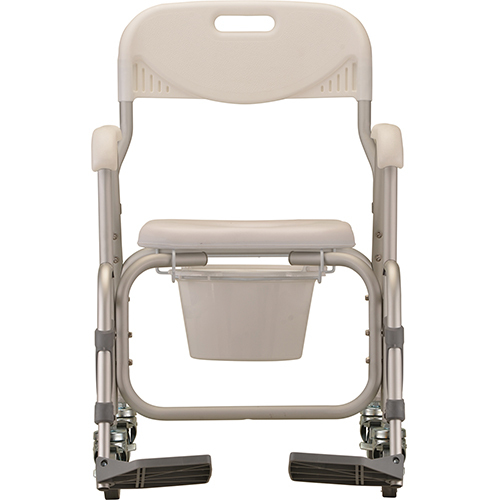 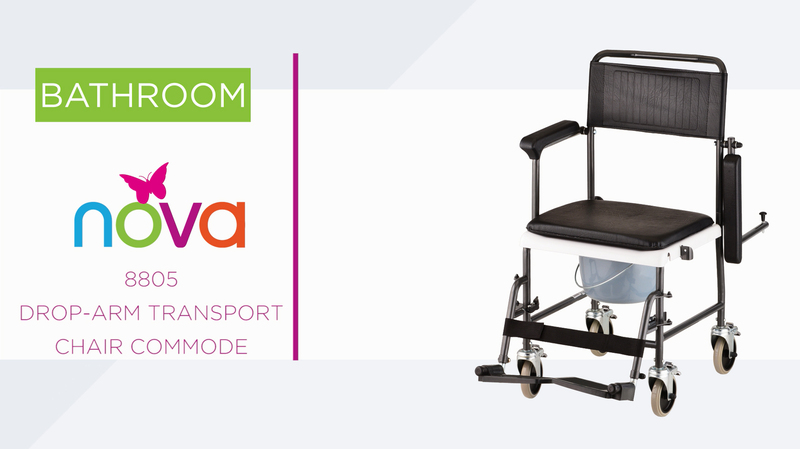 The Drop-Arm Transport Chair Commode is designed with a drop arm and removable swing-away footrests for easy patient transfer. 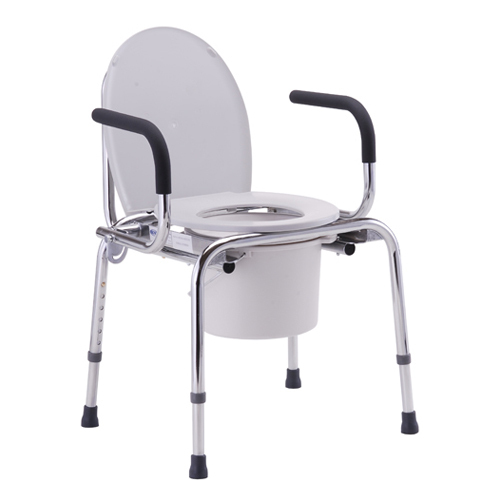 It has a padded seat that fits over the commode, converting it into a transport chair. 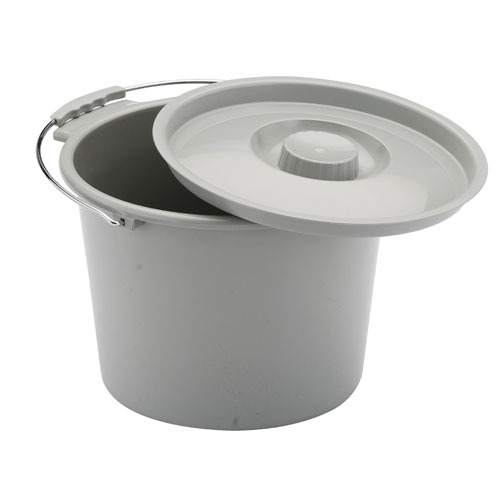 Bucket and lid are included. 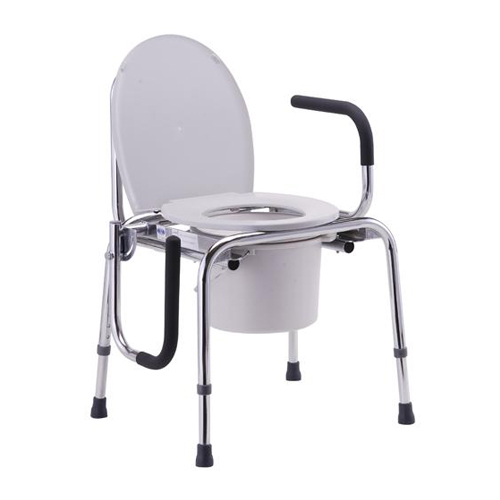 The Drop-Arm Transport Chair Commode is so versatile. 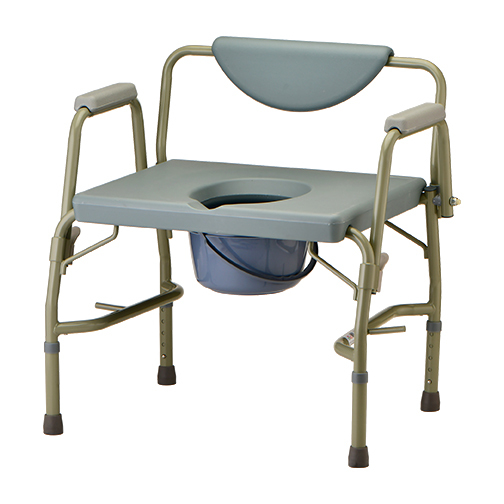 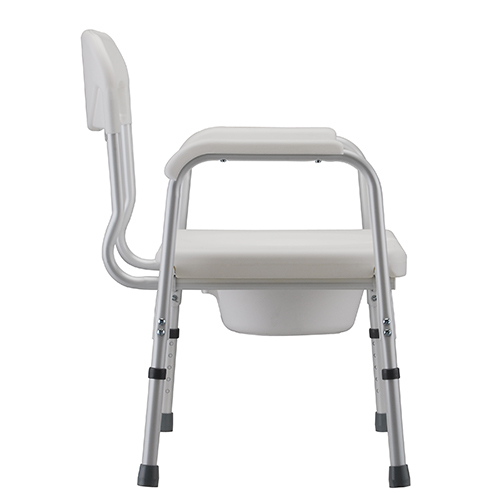 Its padded seat fits over the commode, converting it into a transport chair and its arms drop for easy user transfer. 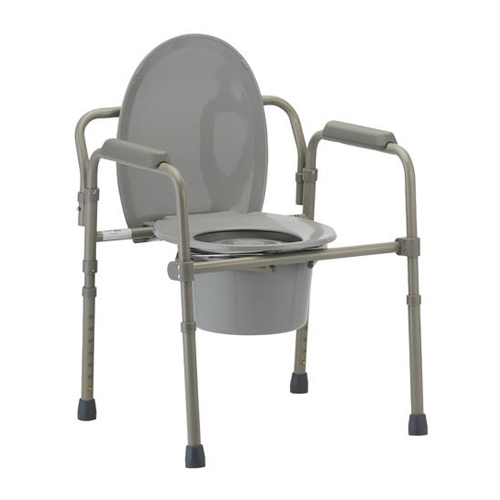 This commode features 4” swivel wheels with locking casters and removable, swing-away footrests. 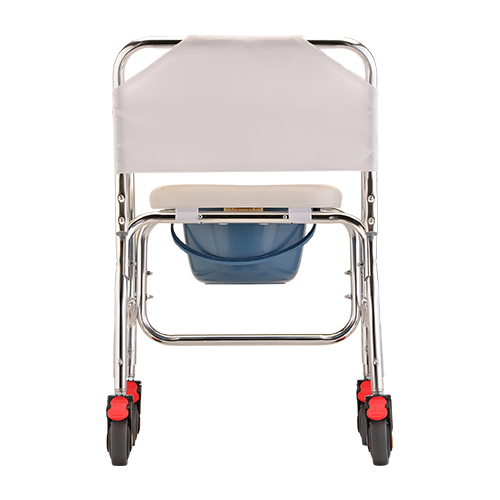 Its bucket can be removed without lifting the user or raising the seat. 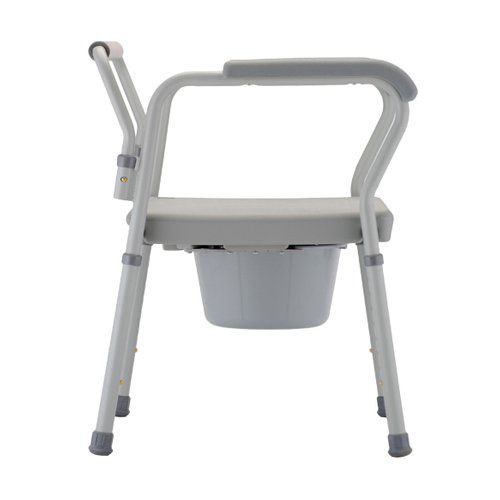 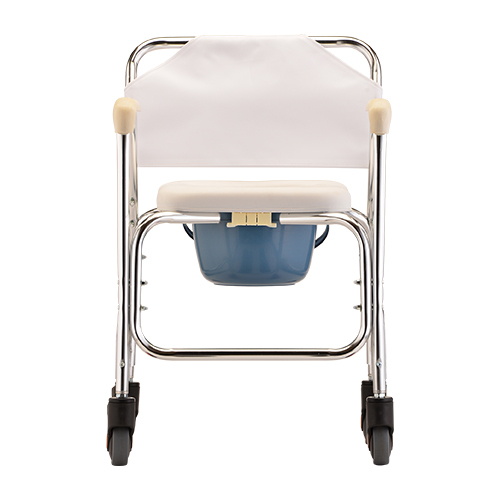 The Drop-Arm Commode is designed with a push-button arm release for easy patient transfer. 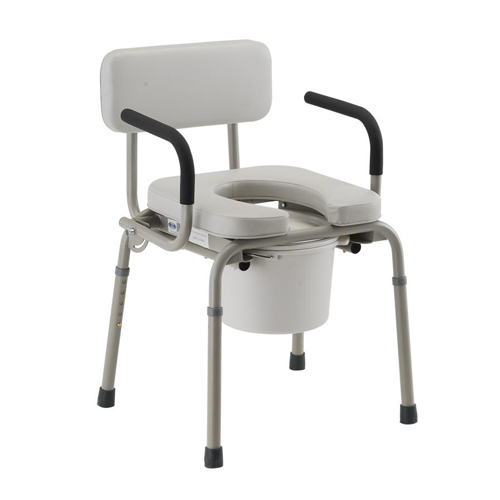 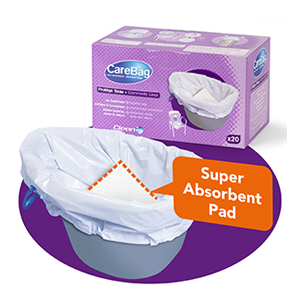 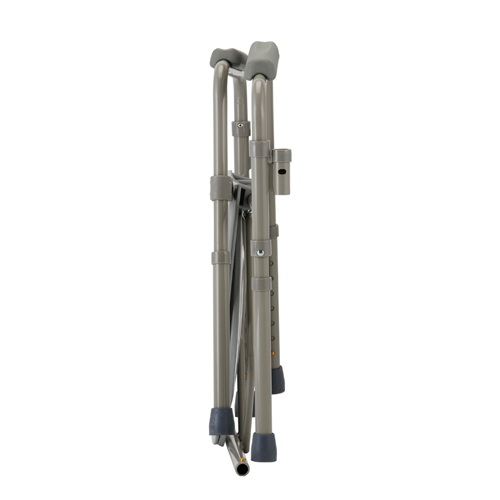 It has soft foam padded handles for additional user comfort. 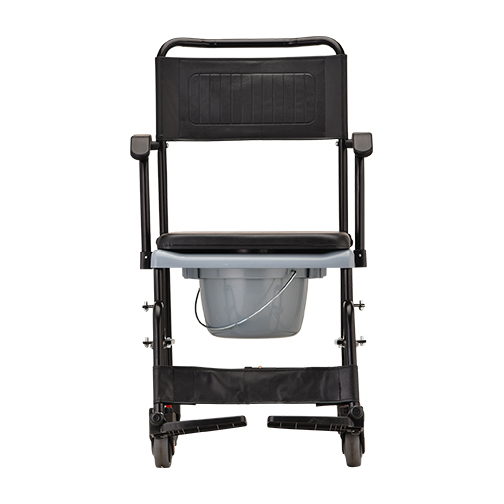 Bucket, lid and splash guard are included. 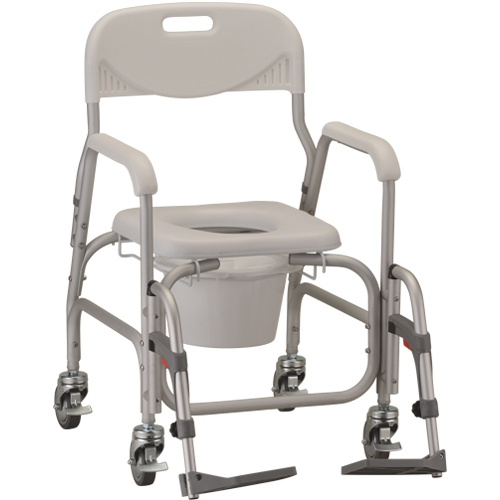 The Padded Drop-Arm Commode is designed with a push button operated drop arm for easy patient transfer. 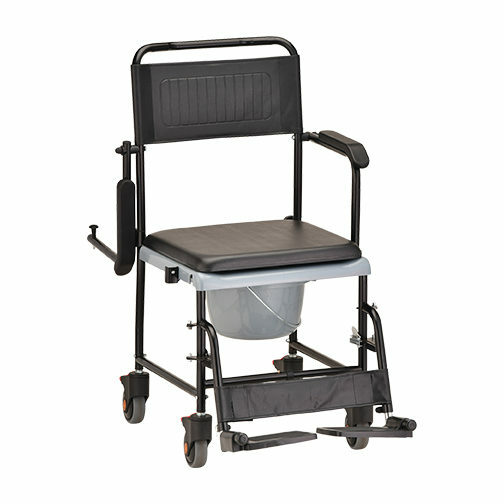 It has a backrest, as well as a padded seat and soft foam handles for user comfort. 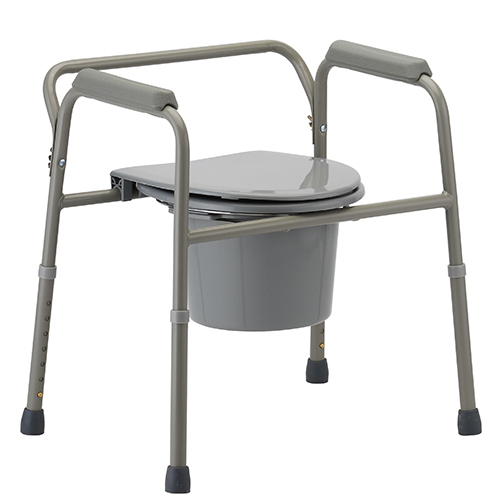 Bucket, lid and splash guard are included. 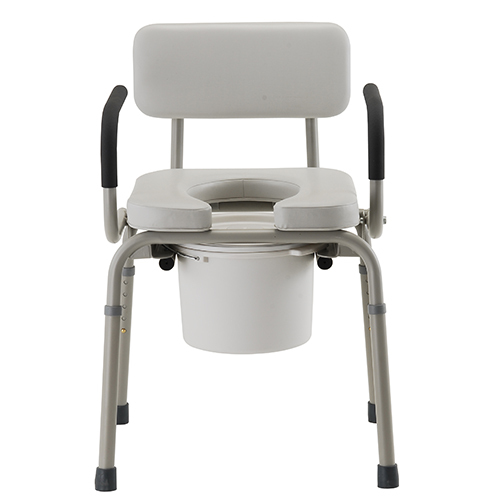 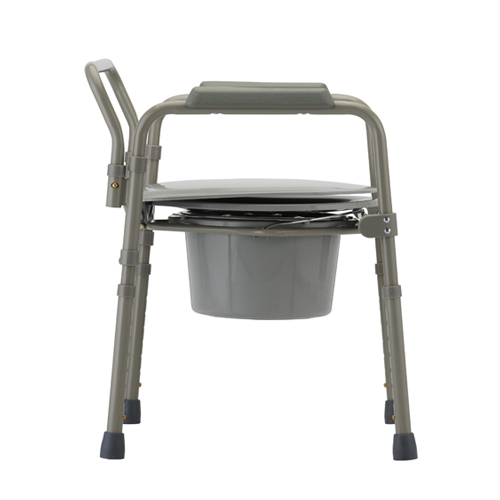 The Heavy Duty Commode has an extra-wide design, capable of supporting up to 450 lbs. 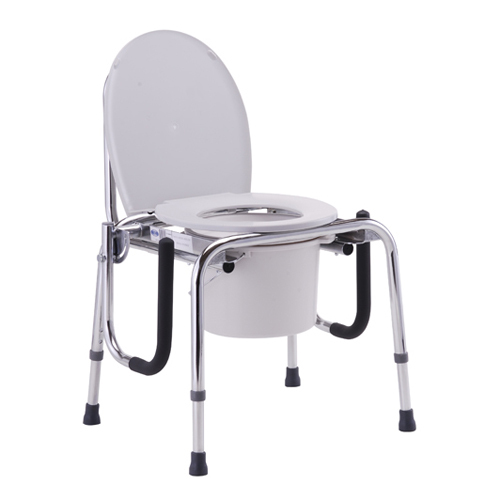 Its powder-coated aluminum frame is easy to clean and maintain. 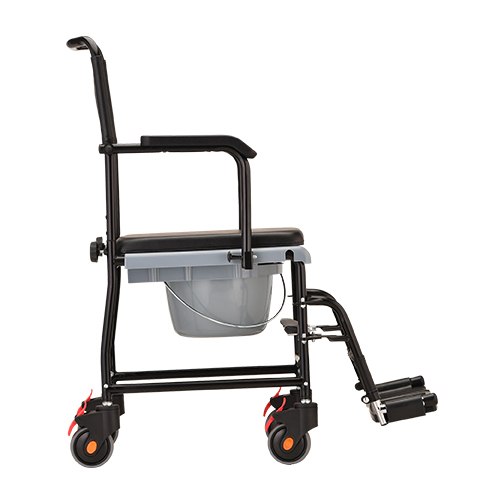 It has a removable back, and comes complete with a bucket and lid.